The artist said armed gunmen blocked the road in a pretense of a protest and threatened him. they also flattened all four tires in the vehicle he was driving. 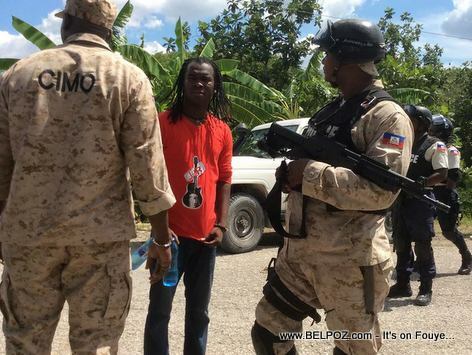 Jean Jean Roosevelt posted this photo on his Facebook page after members of the Corps d'Intervention et de Maintien de l'Ordre (CIMO) and a police squad came to his rescue.